The Guild on 30th is designed as a welcoming urban addition to the Golden Hill neighborhood. By utilizing modern building techniques and materials that support our commitment to sustainable development, The Guild provides each homeowner the opportunity to be an active participant in the “green” movement for responsible living. By championing modern technologies and incorporating them into an urban design. The Guild blends new construction and still pays homage to a sense of history and place in the architectural detailing. With sweeping views of the Bay and a vibrant, walkable urban community at ground level, The Guild offers privacy, convenience and modern amenities in one of San Diego’s hottest up-and-coming neighborhoods. The name, THE GUILD ON 30th, stems from the medieval communities of artisans and craftsman known as Guilds that formed for social and economic empowerment. The Guilds joined together to support one another in pursuit of their crafts. Similarly, The Guild on 30th represents the ideals of the Golden Hill community - the new meshing with the old. It also embodies the team framework by which the project was built and celebrates the community of buyers that will make The Guild their future home. Keegan and Howard have based their joint venture development decisions with an element of bold enthusiasm. They create homes for those that have embraced contemporary design elements which provide a more sustainable approach to living. Keegan McNamara and Howard Kozloff offer a fresh approach to housing development while maintaining a solid base in the financing, design and construction of urban infill properties. The GUILD on 30th represents the positive results of their combined talents and vision. Their passion for developing small-scale, high density, residential mixed use projects is a direct outcome of their philosophy on homebuilding in general. Utilizing the tenets of SMART growth that create desirable neighborhoods by concentrating growth in compact walkable urban centers, the partnership goals value long-range thinking over focusing on short-term solutions. They strive to develop unique, sustainable communities with a “sense of place” as well as promote a healthier way to live within urban settings. Their development team members have been chosen for their expertise and knowledge as well as ability to embrace new ideas and innovate. Studio E Architects are the design team behind many of the most iconic San Diego buildings. The thirteen person collaborative has won dozens of awards, including the highest national honor in the industry. Their work is noted for its understanding of place, its authenticity, and its inventive optimism. 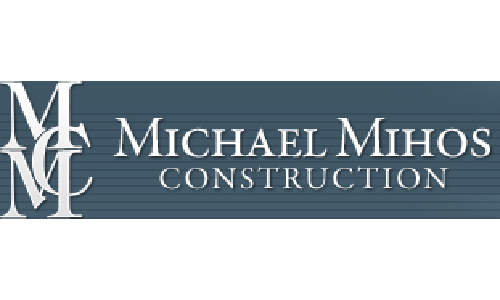 Michael Mihos Construction has built in downtown San Diego for more than 30 years, including new residential buildings, historical restorations, commercial buildings and others. CityMark Realty is the premier new urban home marketing company in San Diego. CityMark draws on its experience as a developer of award-winning infill communities throughout San Diego County to undesrtand the demands of today’s urban homeowners.